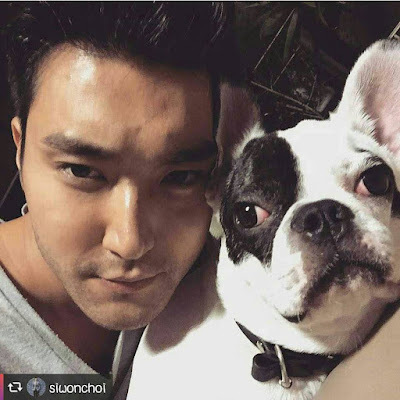 Siwon's dog recently bit a woman, which then caused her to die of sepsis. 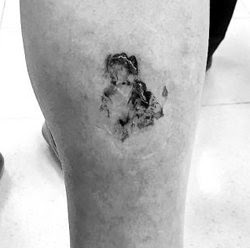 A photo of the wound has now been released, along with more details. The bite mark is approximately 2-3 cm wide and looks relatively deep. However, there's many who doubt the bite mark itself caused the lady to go into septic chock. Others believe the dog was the cause of the sepsis which lead to her death. The hospital issued a statement, saying the bacteria in the bite is rarely found in dogs' mouths, making it unlikely to be the cause. Siwon's family submitted a reference letter from their veterinarian, stating the dog, Bugsy, had no traces of the bacteria in his saliva. However, the test was done a few days after the bite, so it's possible it might not accurately represent the bacteria found in the dog's mouth at the day of the bite. The sister of the woman who died stated the sister only stayed in the hospital for an hour, which makes a secondary infection unlikely. Many believe Bugsy should be put down for causing the death of the woman, while other blames the owners. The family of the deceased woman will not press charges against Siwon's family since they're good neighbors. "I heard that Choi Siwon's family sent Bugsy far away into the country side," the victim's sister stated. When prompted if she wants Bugsy to be put down, the sister gave an answer which might surprise people. "Whether or not he should be put down is something Choi Siwon's family should decide. I don't want to lightly decide on taking a life," she said.